The cute gal above is my babysitter, and I am smitten with her hair. 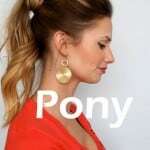 She wears it in a fun, bohemian way, and I had to share this fun update on a ponytail. I’m sure you’ll see more of her on the blog – she’s a dead ringer for Zooey Deschanel! 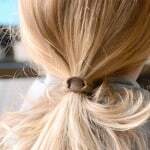 I’m dedicating this post to my sister who still wears a scrunchie. :) There’s no doubt a ponytail is a classic look that neatly hides day 3 hair. 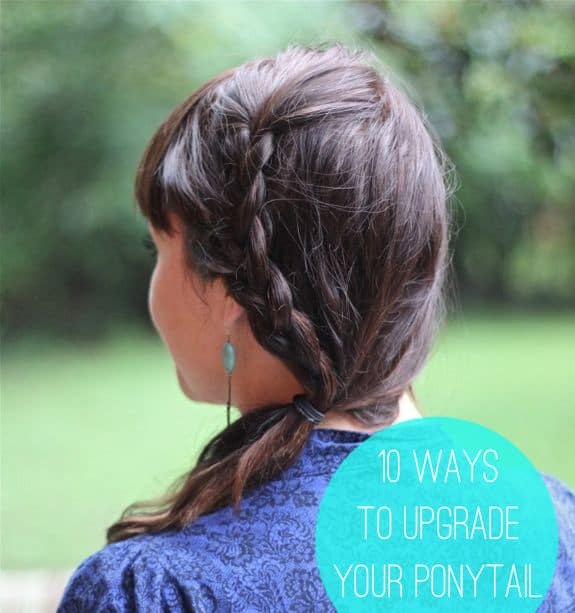 But it’s time to toss the scrunchie and try one of these tricks to give your pony an upgrade. Katie's red hair looks amazing in any do, but this twisted side ponytail is one to remember! Plus, there are just a few steps to doing it yourself. 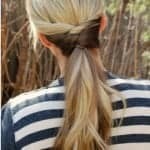 A touch of leather boosts the overall look of your everyday ponytail. Inspired by the Antonio Marras FW'13 show, this ponytail is easy to wear yet looks dressed up and elaborate. 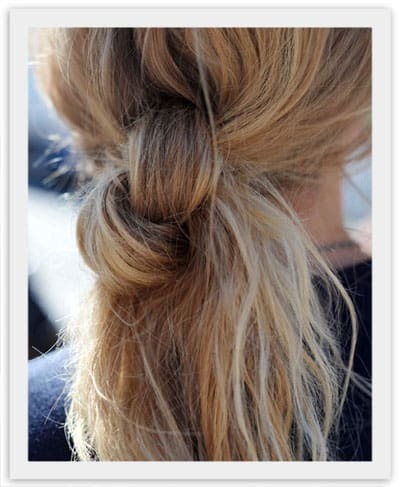 Knot your hair for a simple - yet sophisticated - look that can go from day to night. 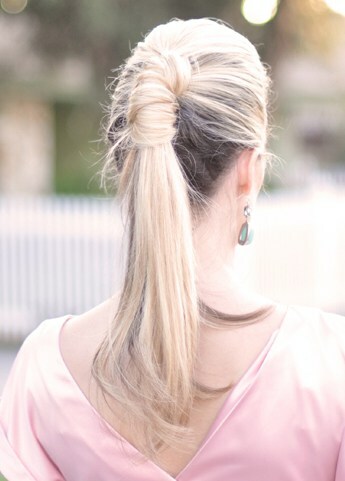 This pretty twisted ponytail is perfect for a wedding or everyday! 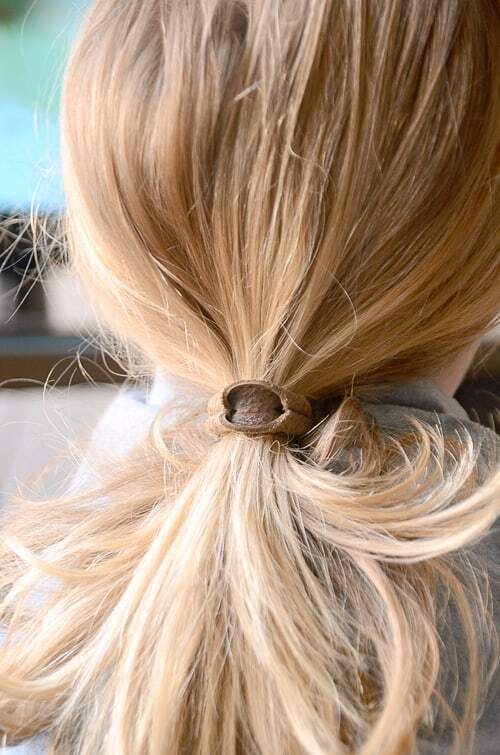 Dressing up a ponytail can be as easy as adding a ribbon bow at the base. 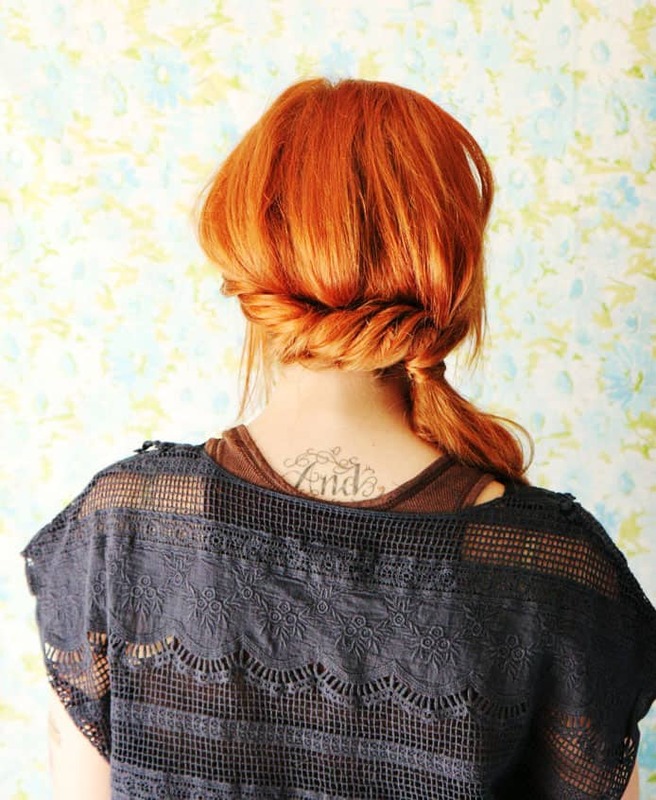 Give your ponytail a twist: a braid twist, that is. 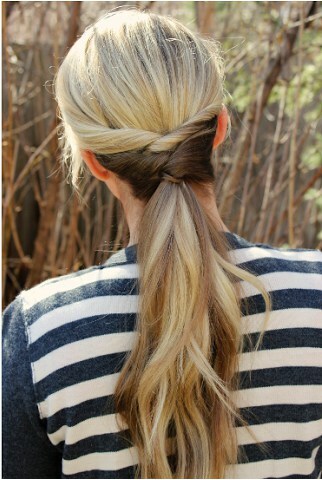 Side parts aren't usually associated with ponytails but this look is fabulous. A videos tutorial that shows you how to show off your face, accent your features, and keep it fashionable! Blair Waldorf's stylish braided ponytail made the rounds of the Internet - and this tutorial shows you how to get the look at home. I love doing fun ponytails and braids, especially in the warm summer months! There are endless combinations. I love a fishtail side braid. great round up! 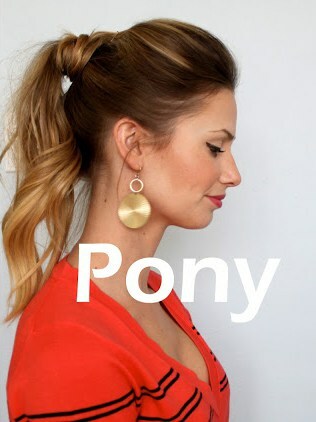 i love a cute ponytail! definitely have to try some of these out! Fabulous roundup Steph – currently growing my hair from very short (it’s reaching my shoulders now – yay!) so can’t wait to try some of these out. Good for you! I can never get that far when I try to grow mine out – it gets to chin length and I end up cutting it off again! Ah yes, I know what that’s like! My friend who is a stylist told me to just stop cutting it and so I have and its grown heaps (it’s a bit dodgy on the ends but I can handle that for the length). That is a major bonus! I always laugh that I have so little hair and yet it costs a fortune since I have to get it cut so often. Love this! I needed a pony upgrade! Thanks Ashley! And it’s amazing how easy some of these are. Have fun experimenting! This is great, I need this so bad. And a hair dresser to move in with us. My poor poor neglected hair…..
And a make-up artist, a personal chef, and maybe a trainer too! Wouldn’t that be awesome? I just love a good spin on a good ol pony! Great collection. I need to tray that Blair one! Let me know if you try it Tan – I’m always amazed at what people do with their hair, that one looks so super cute! Great top 10 ! Now I need to try some of them !